With Filipinos reported to be spending more time on social media than any other country in the world, the ability of platforms such as Facebook, Viber and Instagram to connect people and build communities is more potent than ever. At the same time, a new, important role is emerging for these social media sites: as a rich source of big data, and for finance companies, a new tool for approving loans and managing risk—especially for those borrowing for the first time. “With virtually everyone in the Philippines having a social media account, regardless of social status or economic standing, it is easy to see why these are great tools for mining data,” remarked Leos Gregor, Head of Risk at Home Credit Philippines, a Prague-based finance technology (fintech) company that allows consumers to purchase smartphones and other goods on installment even without a credit card. “And for a country that has yet to adopt a universal ID system, the basic information provided by Filipino users on these sites become extremely helpful in verifying identities, which in turn helps us to approve more loans for more people, and at faster speeds while managing risk,” Gregor added. Gregor explained that Home Credit currently has one of the fastest, if not the fastest, loan processing and approval times in both the local and international finance industry, requiring only two valid IDs from the applicant. In the Philippines, where majority of applicants are approved within less than 5 minutes, Home Credit’s automated system can quickly receive a loan application form and determine if the application is approved or declined. A portion of this time is spent doing data check on customers’ social media accounts, wherein Home Credit’s underwriting system will match information provided in the applicant’s loan application with their social media information. Gregor noted that especially for first-time borrowers with no existing credit records, having social media accounts that contain accurate identification and as much relevant information as possible can increase their chances of loan approval. “This, along with our use of other data sources such as from credit bureaus helps us to approve even unbanked or first-time borrowers while mitigating risk,” he said. “All of these data sources are crucial because the more data we have, the better the chances of approving credit worthy individuals. At the same time, we are happy to be able to promote financial inclusion by helping the government build a comprehensive credit database, while being a responsible lender at the same time,” Gregor added. Gregor noted that to ensure that first-time borrowers are included in the financial system in a responsible and sustainable way, Home Credit Philippines’ loan products come with “safe lending” features, such as the option to avail of insurance along with the loan; a 15 day “cooling-off” period that allows customers to pay back the full loan at no added cost within this time period; customer-friendly repayment tools meant to address various financial difficulties; and Home Credit’s “Our Commitment” that promises full transparency on loan products with no hidden charges. 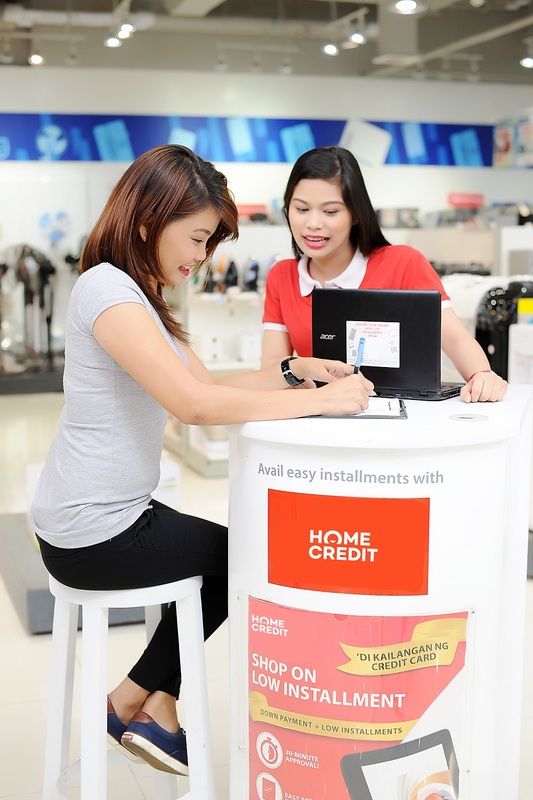 Since launching in Manila in 2013, Home Credit Philippines has seen rapid growth in its business of providing in-store financing of gadgets, appliances and other goods, and has served over 1.2 million customers. Its network of retail partners now spans more than 3,000 partner stores in Metro Manila and 36 provinces nationwide, where they offer 0% interest promos and other popular products.